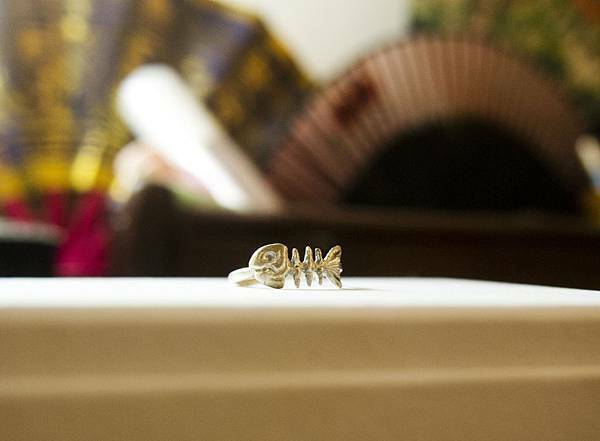 “Glutton Cat (series)” Rings depicted “unsolved cases” of cats stealing bites of fish. Have the cats really had the fish? Or is it just a misunderstanding? “Kitten”/ “Fish Bone”/ “CAT”, these 3 pinky rings are specially designed for being worn on the little fingers. Chinese believe that a ring worn on the little finger can be a good luck charm keeping misfortune and villains away. Whether you believe this argument or not, a lovely kitten being with you definitely makes you happy all day long. This creation is totally handcrafted of pure 925 sterling silver. Ring size 4.3cm is readily available. Please inform us of your ring size if size adjustment is needed. This service is free before ordering.